Stephen Jerzak, is a seventeen year old hailing from La Crosse WI. 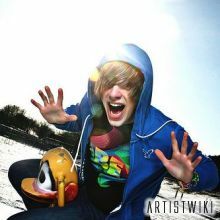 His brand of music follows closely to that of nevershoutnever! Both of which have a huge internet fan base through that of Myspace, and other networking sites alike.